Smart packing and fewer luggages can actually help you travel with maximum comfort. It is essential that you carry only those things which are essential according to you. Packing can be real worry for many but by managing your accessories wisely, you can travel smartly with fewer luggages. This will help you roam freely and enjoy to maximum. Once you are done with all reservations you can then start your packing a week ago to the date of travel. It is always better to plan and get over with your booking prior. You can go for booking with Best prices apartment in Kuwait Tel. 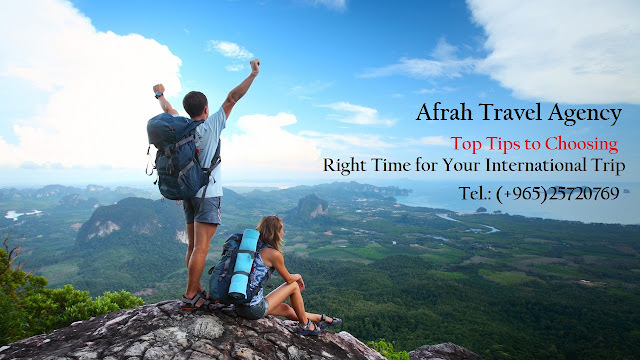 : (+965)25720769 with travel agencies so you have enough time for packing. Check whether – Depending upon the whether your packing may vary and thus it is always better to check it before packing your luggage. Keep your essential medicines – Possibly in new city, you may not get your medicines and thus you must keep them with you. Name your luggage – If you have problems identifying your own luggage in a group, add a name tag to your luggage so that you can easily recognize it in airports. Ignore unwanted – Ignore things you do not need. If one charger can do, there is no requirement to pack another. This will save space for other accessories. Limit your accessories – If you are a female and is fond of accessories, you can repeat your accessory and thus it is not essential to carry a bad full of accessories. You must also avoid carrying so many shoes with you. Keep restriction on number of luggage – It is always better to keep only those luggage with you which you can carry by yourself. Have space for shopping – You must remember that you need to keep space for new things you will buy from new destination.